Add all the angles in the pentagon together. What do you get? Record this in the pentagon row of your chart. 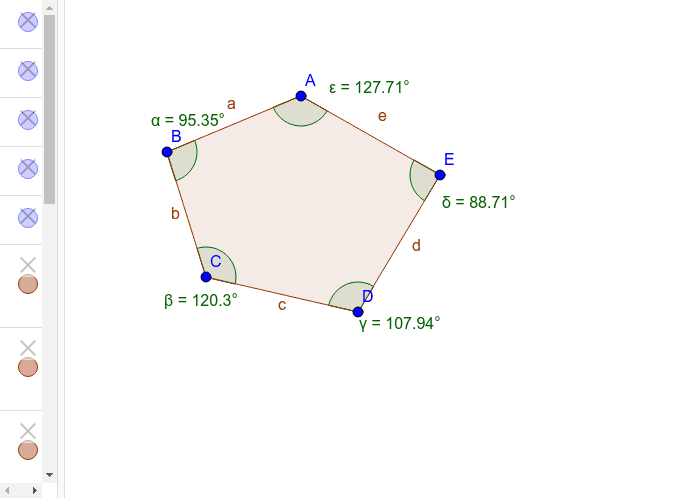 If you drew a diagonal that connects BE and BD, how many triangles would that create? Fill in the rest of the pentagon row using your brain.